Despicable Me 2 is an amazing movie and it follows its success from the first one that was released, and it does not matter what anyone thinks it’s the little yellow workers that steals the show. 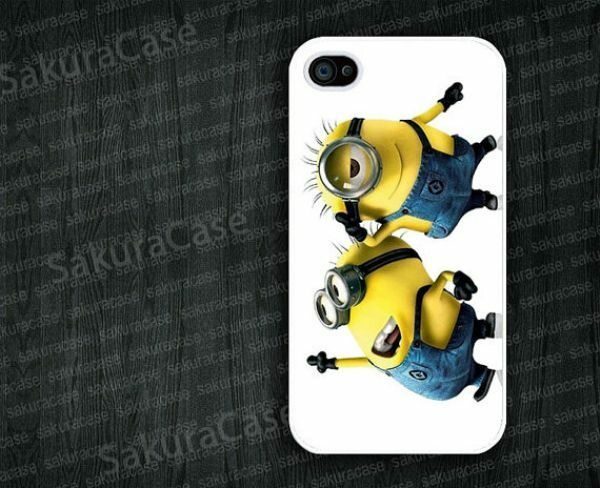 The Minions are so popular we decided to provide you with the Minion iPhone case collection on Etsy. The film contains the loved yellow Minions and we all know that this word means a follower that is devoted to serve and that is exactly what they do in the movie doing everything for Gru. The first movie was fantastic and great for all the family, stealing a moon was the main basis of the whole film, plus a lot more of course. The sequel is just as good, but we will not go into detail just in case you have not seen the movie, one of the Minion iPhone cases we like is for the 4, and 4S. 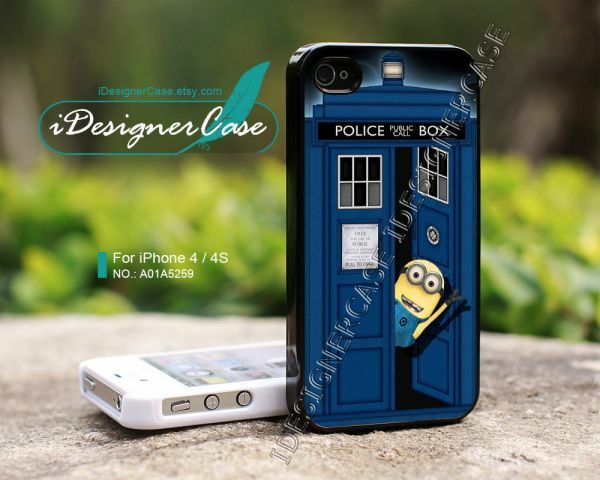 This one is priced at only Â£7.35 and shows a Minion poking his head through the Doctor Who Tardis door; take a look at the case below. The second iPhone case will fit the iPhone 5, 4S and 4 and is priced at Â£4.68; you can even customise these ones. There are so many to choose from via the Etsy shop so we would say visit here and take your pick. They are all equally stunning but we are guessing you will find you perfect case considering they have a vast collection. Would you walk around with a Minion iPhone case?